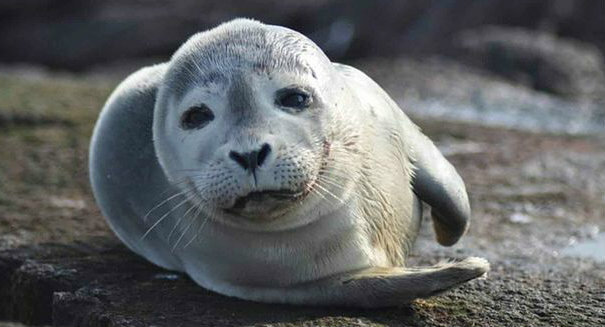 Fur from sea lions and seals could be carrying mercury contamination to breeding grounds. A particularly toxic form of mercury is being transferred from the depths of the ocean to the coastlines of California by fur from sea lions and seals, according to an article in the Washington Post. Back in the 1970’s, a research project noted unusually high levels of mercury in mussels at the Año Nuevo State Reserve, which is a breeding ground for several species of sea lions and seals. A new study of the area has found the levels of mercury to be significantly higher now than in the 70’s. Jennifer Cossaboon, a master’s student in environmental science at San Diego State University and lead author of the study which was published Monday in Proceedings of the National Academy of Sciences, said the researchers on the earlier study suspected the mercury was coming from biological material. Cossaboon and her colleagues returned to the area with more sophisticated testing equipment and tested the seawater and the fur of elephant seals in the area. The result was the methylmercury levels around Año Nuevo were about eight times higher than other areas of the California coast. The group believes the animals have something to do with the higher levels. Mercury, which is found in many types of chemical compounds, makes its way into seawater through industrial dumps and air pollution. Microbes in the water convert the mercury into another form, called methylmercury. Sea animals eat the microbes and in turn are eaten by larger sea animals and pass along the harmful contamination. Scientists monitor ocean methylmercury “hot spots” that may yield contaminated seafood, which if eaten by children or pregnant women, could produce harmful results. Since most methylmercury concentrations are near industrial areas, this new research is troubling because it appears to show the contamination is being spread by the fur of the sea animals. Cossaboon added that so far, there is no evidence that the marine organisms are suffering at the reserve, and since it is a protected area that is not used for fishing, it probably is not an immediate threat to humans.